The NANO-6062 Nano-ITX embedded board is built with the Intel Atom processor E3900 product family. Not only does it operate with thermal design power (TDP) under 12W for fan-less applications, but it also supports a wide industrial temperature range from -40°C to 85°C and a wide voltage of power input from 12V to 24V for rugged applications. The Delfino LaunchPad development kit is an inexpensive evaluation platform for designers of high-performance digital control applications. This tool is a great starting point for developing many high-end digital control applications such as industrial drives and automation, electric vehicles, and more. The robust panel PC, DC17, for use in railway applications, offers everything that is needed for immediate use in a train: EN 50155 conformity, an IP65-protected housing, a 12.1" display with touch screen, flexible I/O, wireless functionality and an extended temperature range from -40 to +70°C. ADLINK releases its new Express-BD7 COM Express Type 7 module with Intel® Xeon® server-grade processor, 10 GbE and 32 lanes of PCIe. The Express-BD7 delivers high performance for entry level networking devices such as NAS, Wi-Fi routers and portable servers in Edge Computing scenarios. 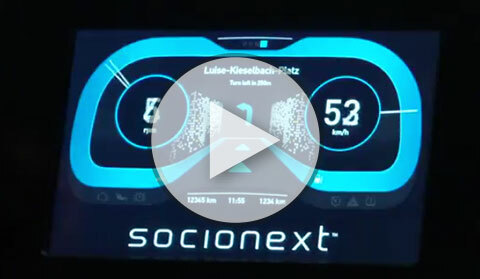 Socionext’s ViGO is an enhanced functional safety concept which supports future system architectures such as domain computing, driver instrumentation and information systems. 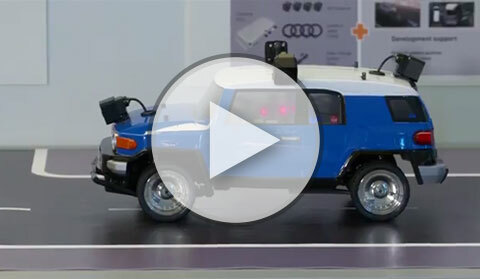 Included in the demonstration are extended functional safety features such as diagnosis of cable and link stability. Socionext’s Platform SoC solutions enable high performance products to get to market fast, without system development risks. The Key Features are high performance CPU and GPU supporting general purpose GPU computing. This system provides increased driver awareness by combining images from several camera angles to create a 3D augmented reality image. With previous systems, which combined images into a 2D scene, only birds-eye views were available, making it difficult to recognize vehicles and pedestrians. 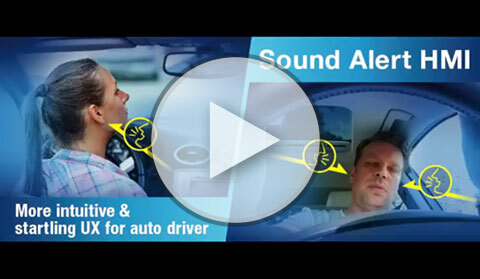 Socionext’s 3D acoustic surround technology, which has seen significant success in commercial applications for the gaming market, delivers a state-of-the-art user interface with sound localization control for in-vehicle applications such as driver assistance and infotainment systems, helping the driver perceive intuitive directions and warning signs. Socionext’s SEERIS® Graphics Engine is a building block concept combining a collection of 2D graphics processing units with focus on blit operations, display control and video capture. Display.